The show took place at the 17,500 capacity The Forum. 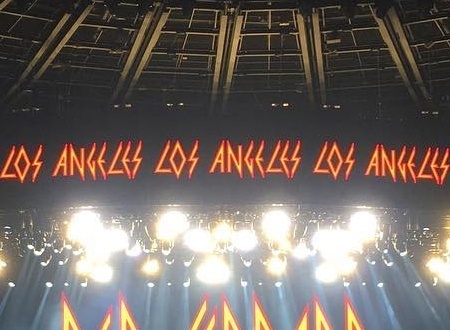 The band last played Los Angeles on 20th September 2015 on the 2015 World Tour. The 11th show the band have played in Los Angeles and the sixth time at this venue. The first visit was in April 1983 as support to Billy Squier on the Pyromania tour. They would return as headliners for two nights in September 1983 when special guest Brian May from Queen joined them to play 'Travellin' Band'. In 2009 the band remixed a recording of the second show from the original master tapes and edited it down to fit on the second bonus disc of the Pyromania Deluxe Edition. An In The Round show then took place in November 1987 at the Los Angeles Memorial Sports Arena on the Hysteria tour. A second In The Round show was played on the Adrenalize tour at the LA Forum in December 1992. Ten years later they returned for an X/Ten tour show at Universal Amphitheater in December 2002. The first ever appearance at the Hollywood Bowl followed in October 2006 on the YEAH! tour with Journey. A second Universal Amphitheater show happened in September 2011 (as the Gibson Amphitheatre at Universal CityWalk). They would return to The Forum in July 2014 as Vivian underwent chemotherapy and then again in September 2015. Two other appearances in the city also took place in September 1989 and September 1992 for the MTV Video Music Awards. 'When Love & Hate Collide' and 'Man Enough' were played in Los Angeles, CA for the first time. According to a tweet by the venue the one millionth ticket for this tour was sold at the show. "Los Angeles, California!. Thanks for having us. Thanks for coming. Thanks for being here. We'll see you next time. Goodnight!." The next show takes place on 7th October in Los Angeles, CA. Played for the first time in Los Angeles. 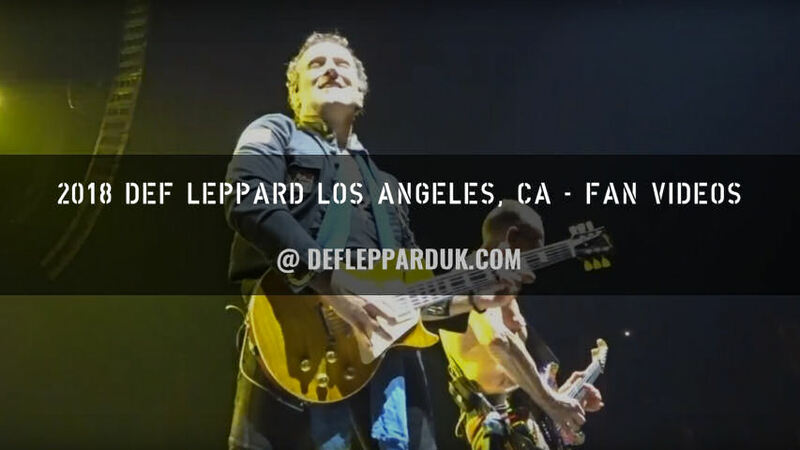 #defleppard #losangeles #forum #theforum #la #friends #concert #icjuk Great to see my buddies band back in the LA hood!